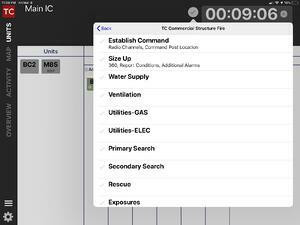 Let’s look at a real world example: San Diego Regional Emergency Communications JPA (commonly known as North Comm) has 12 agencies using Tablet Command. There are about 50 iPads and hundreds of Smartphones deployed throughout the jurisdiction operating within the same Communications Center. 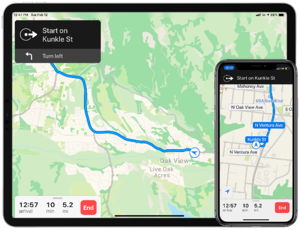 Often, responding units cross jurisdictional boundaries and Tablet Command helps by providing crews highly accurate, traffic-aware turn by turn navigation with the user's choice of Apple Maps, Google Maps or Waze to locations they may not be familiar with. GIS resources shared through Esri ARC GIS Online can include hydrant locations, pre-fire plans (represented by the blue squares) and other critical geospatial information accessible to agencies across the region. Shared AVL data with unit status in color provides enhanced situational awareness in real time. All responders share a common operating picture through access to department specific incident templates and checklists based on agency standard operating guidelines (SOGs) and/or operational policies. These tools are easy to configure and update through the web management portal. Here is another example: In 1998, the fire departments in San Mateo County California eliminated boundaries and began dispatching regionally; reducing the need for day to day mutual aid. 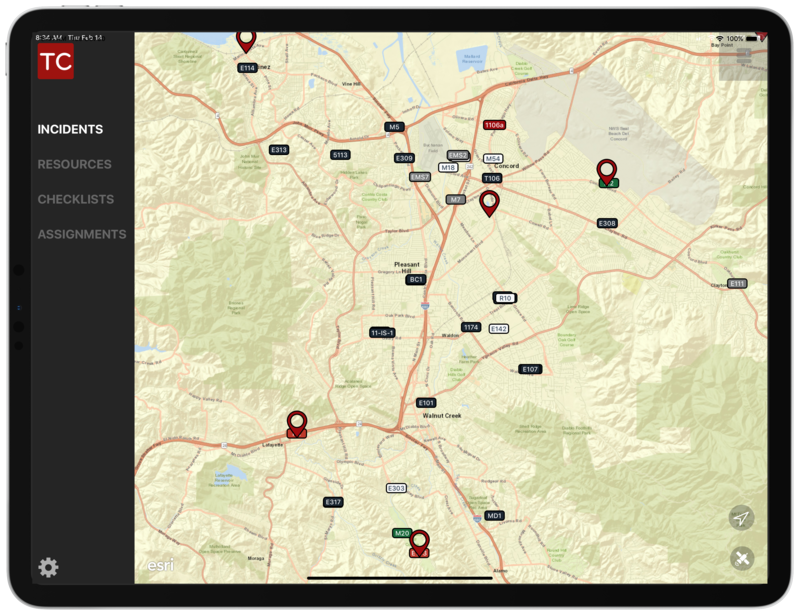 Beginning in 2011 Tablet Command supported 14 fire departments by providing standardized information and the ability to view and share resources across the region. 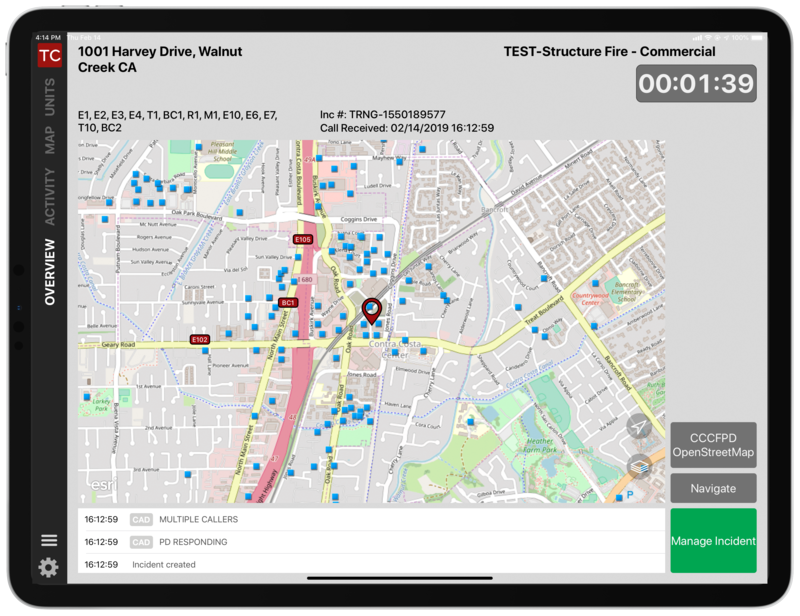 Today, San Mateo County has deployed Tablet Command on 85 iPads, with TC Mobile on more than 130 smartphones, providing a common operating picture which results in safer and more efficient responses. 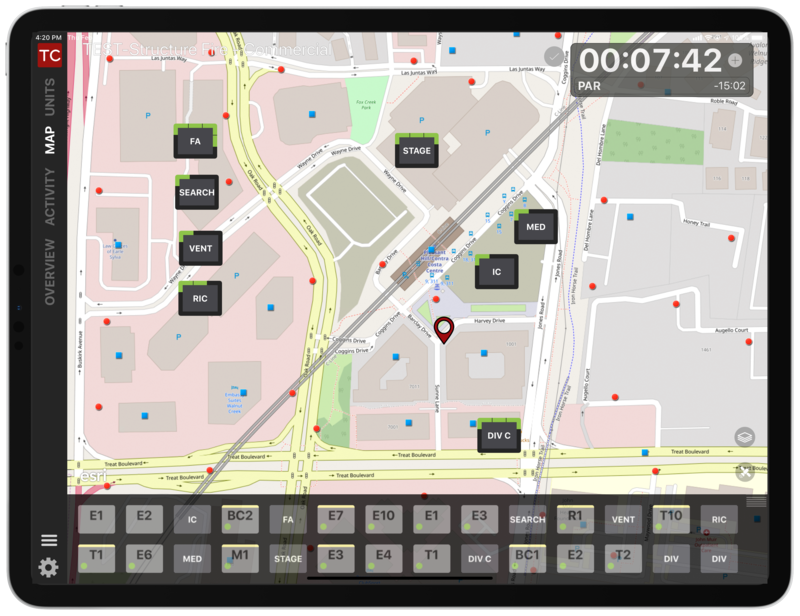 Tablet Command integrates with any CAD system creating a reliable, easy to use and comprehensive response and incident management solution.